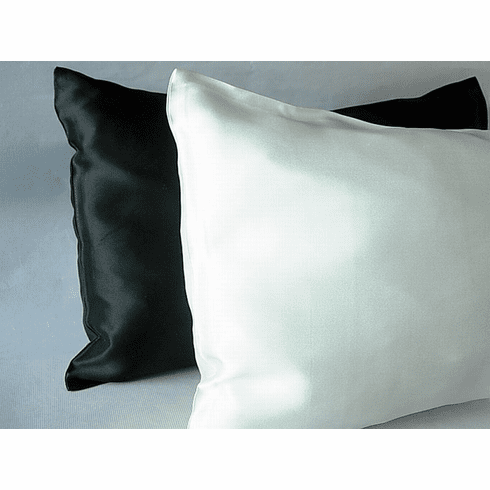 Size of the pillow plus pillowcase is 12"x16", silk pillow case is 100% charmeuse silk, filling of the pillow is 100% polyester. Pillowcase has a back overlap closure, therefore smooth and flexible. Choice of two colors, Ivory or black.